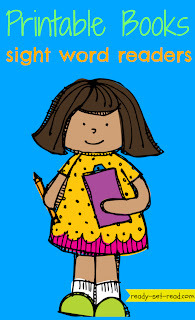 In the earliest stages of reading development, children are trying to pull together a great number of skills-- learning to move left to right across a page, learning the difference between letters and words, working to automatically read sight words to increase fluency, decoding words using known letters and letter chunks, and using all of these skills to create meaning from the text. Orchestrating all of these concepts at once can be a difficult task. 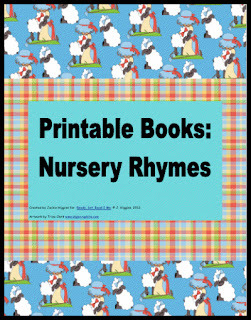 It can be helpful to use books with simple repeating lines of text for these very early stages of reading. It is also important to motivate children to love reading in these early stages. Early reader books on themes that relate to classroom learning or the child's interest can be helpful. My oldest son, Logan, turned 5 last week. He is taking off as a reader! It is fun to watch him as he controls concepts about print. It's fun to watch his reading and writing vocabulary grow. In the past few weeks, I've created several early reader printable books to match his interests. He loves outerspace and aliens, he loves animals, and is interested in getting a pet. The books I created for him also featured sight words from the pre-primer dolch sight word list. Community Helpers- Introduces jobs in the neighborhood while featuring the sight words here, is, the. 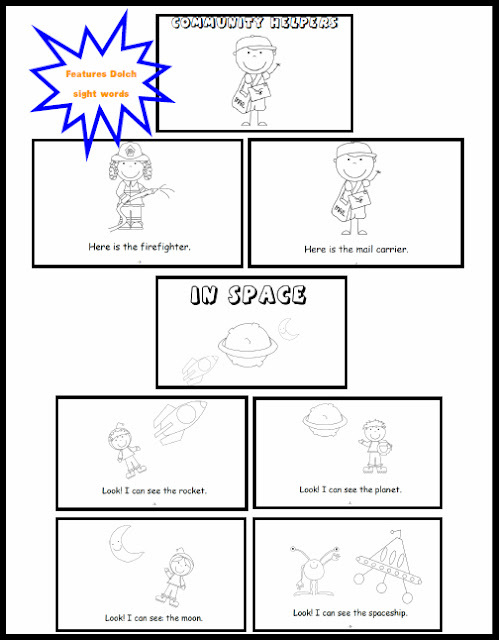 In Space- Takes readers on a journey to outerspace as they learn the sight words look, I, can, see. The Silly Monkey- Reviews sight words (look, the, is) and introduces the concepts of up and down. My Pets- Explores pets that children might like to have while introducing the sight words this, my. Animals- Reviews sight words (the, is) and introduces the concepts of big and little with some of children's favorite animals. 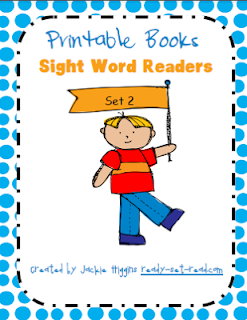 Printable Books Sight Word Readers Set 2 is a priced item in my teachers pay teacher store. 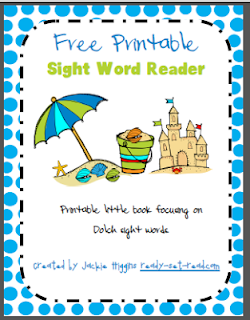 You can purchase the Printable Books for Early Readers Pack: Pre-primer Dolch Sight Words Set 2 in my Teachers pay Teachers Store or Teachers Notebook store. I also have two other printable early packs you might enjoy. 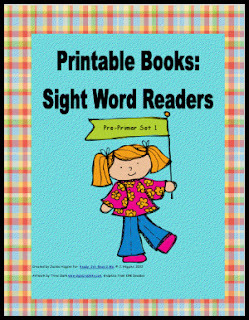 The goal of this stage of reading is to gain a few sight words and control the basic concepts about print. Students should move quickly through this stage of reading, as there are not a lot of opportunities for decoding or working with words in this stage. While repetitive texts are great for helping students during this stage, simple texts should be balanced with rich read aloud books.